All prices are per person and night, plus tourism levy. 3€ additional fee for short time stays. Prices for children on demand. Half board at Gasthaus Schaich, just 50 meters away! 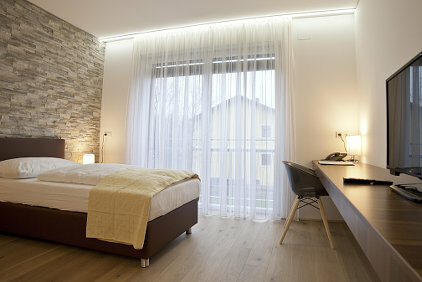 Room facilities: Shower, hair dryer, toilet, Sat-TV, flatscreen, telephone, radio, WLAN and safe. Cancellation up to 14 days before journey is free of charge. Within 14 days before journey, 50% of the room price are due, within 2 days before journey 100% of the room price are due.